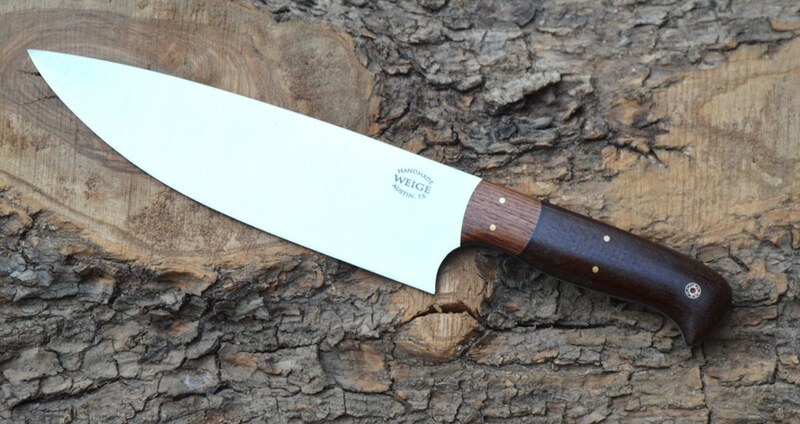 Custom 13 inch hand made chef knife from Austin, TX. 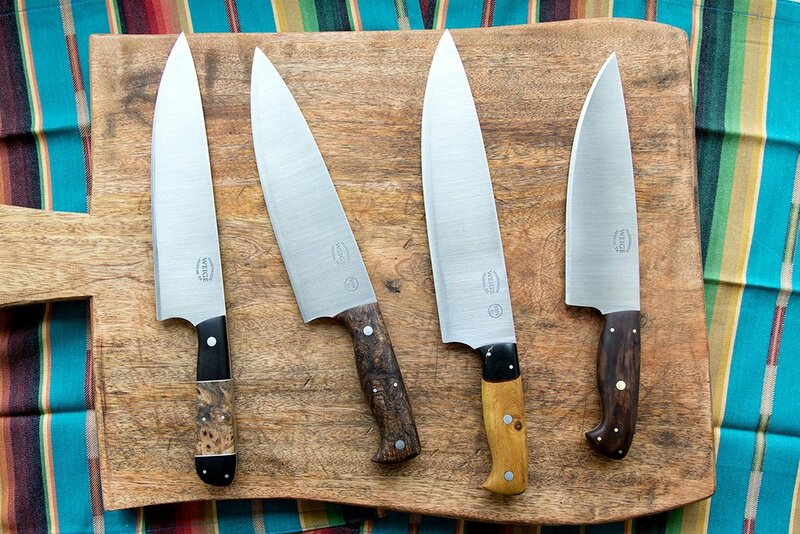 Home/Finished knives./New 13 inch custom / hand made chef knife. 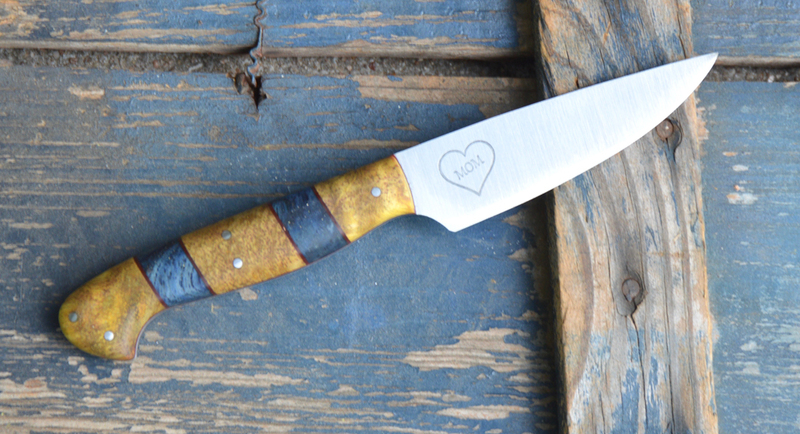 A new knife from my bench here in Austin, TX. This was a very custom build for local chef Jack Allen. The handle of the knife was formed after taking a clay mold of Jack’s hand and building it to suit. 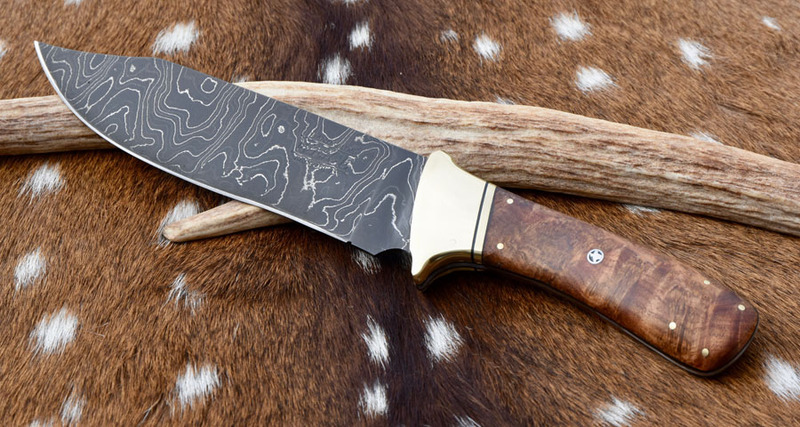 The custom chef knife is over 13 inches long and made from 440c stainless steel with a stabilized, spaulted Pecan burl (exhibition grade) and the mosaic pins are handmade by Sally Martin in Oregon. The knife turned out very well with a center balance and it fit Jack’s hand perfectly. It’s more challenging to build the knife to a custom fit grip, but it’s a huge plus for the end user as no other knife will ever feel as comfortable.